Others Are Now Parroting What MACE Has Been Espousing For 17 Years! Ha! We Presume That MACE Is Not As “Crazy” As They Once Claimed. Crazy Is As Crazy Does, And What The Educrats Have Been Doing In Our Public Schools Has Been Crazy! | Georgia Teachers Speak Out! ← The Latest Edition of MACE Live TV! Others Are Now Parroting What MACE Has Been Espousing For 17 Years! Ha! We Presume That MACE Is Not As “Crazy” As They Once Claimed. Crazy Is As Crazy Does, And What The Educrats Have Been Doing In Our Public Schools Has Been Crazy! 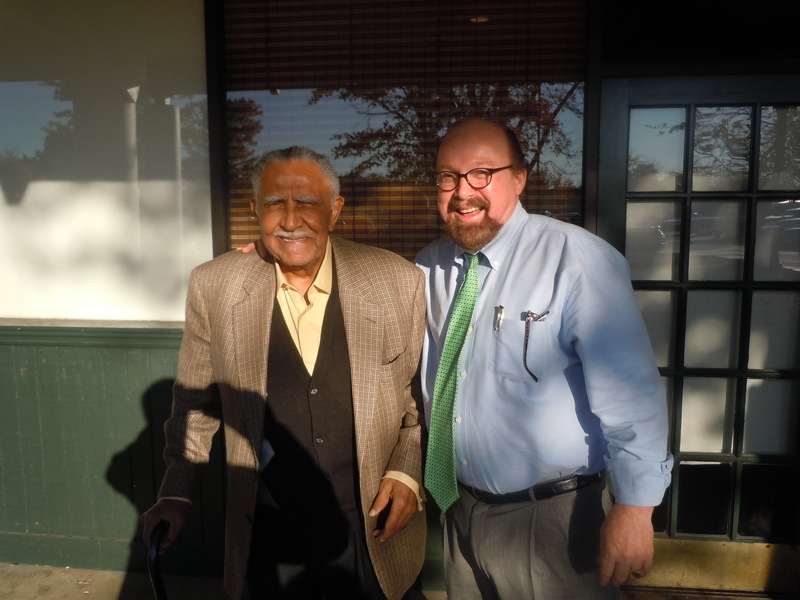 Dr. Trotter (R) with Civil Rights Icon and Co-founder of the Southern Christian Leadership Conference, Dr. Joseph Lowery (L). Maureen, it certainly is cause for a good chuckle when I see more and more of your blogs discussing on point the very things for which MACE has been advocating for these past 17 years. Ha! I do indeed get a kick out of the latter day revelations that certain professors and others are receiving from the educational heavens about the inordinate time, money, and energy spent on standardized testing and the paucity of attention given to classroom discipline. To hear these educational pundits now speaking out for less standardized testing and more classroom discipline certainly heartens me and reassures me that I am not crazy after all! Ha! Actually, I have never doubted my sanity on these matters, and I have always stuck “to my guns,” so to speak – even when all of the false prophets at the Georgia General Assembly, the Georgia Department of Education, and the colleges of education in the State may have thought that I was a noisy gong or a clanging cymbal. In the first issue of MACE’s publication, The Teacher’s Advocate!, published in 1995, we called for “quelling the mania over standardized testing.” We called for teachers being supported in the classroom when it came to issues like discipline and creativity. In fact, the very mantra that we still use at MACE today (“You can have good learning conditions until you first have good teaching conditions.”) was spelled out in the first article of this first publication. For years, we felt like the lone wolf in the wilderness. I am glad indeed to see you publishing articles about others interested in education enough to speak out on these very pertinent concerns. This reminds me of children growing up and realizing that their parents all of a sudden got smarter! Actually, it was the kids who got smarter. The parents’ positions had not changed. MACE has not changed one iota since our beginning in 1995. I don’t think that anyone can point out a scintilla of evidence that demonstrates that the Metro Association of Classroom Educators had “evolved” over the years. No, we are just as “crazy” as ever, but some educational pundits may have evolved closer to the positions that MACE has been espousing for these 17 years. Hence, these pundits may think that we are not as “crazy” as we used to be. I assure you that we are just as crazy now as before for teachers being supported in the classroom as they seek to establish and maintain discipline or when it comes to respecting the teachers’ creativity, knowledge, wisdom, and judgment in the areas of methodology, pedagogy, and curricula selection (with curriculum guidelines being followed, of course). It’s not that MACE has suddenly gotten smart. No, MACE’s position has never changed; it is the pundits who have suddenly wised up to the positions that we have espoused from the very beginning. We have several articles written these past few years on the false gods of standardized tests. © MACE, March 13, 2012. 1 Response to Others Are Now Parroting What MACE Has Been Espousing For 17 Years! Ha! We Presume That MACE Is Not As “Crazy” As They Once Claimed. Crazy Is As Crazy Does, And What The Educrats Have Been Doing In Our Public Schools Has Been Crazy! We teachers should not tolerate administrators who abuse teachers or colleagues who fail to teach their students.